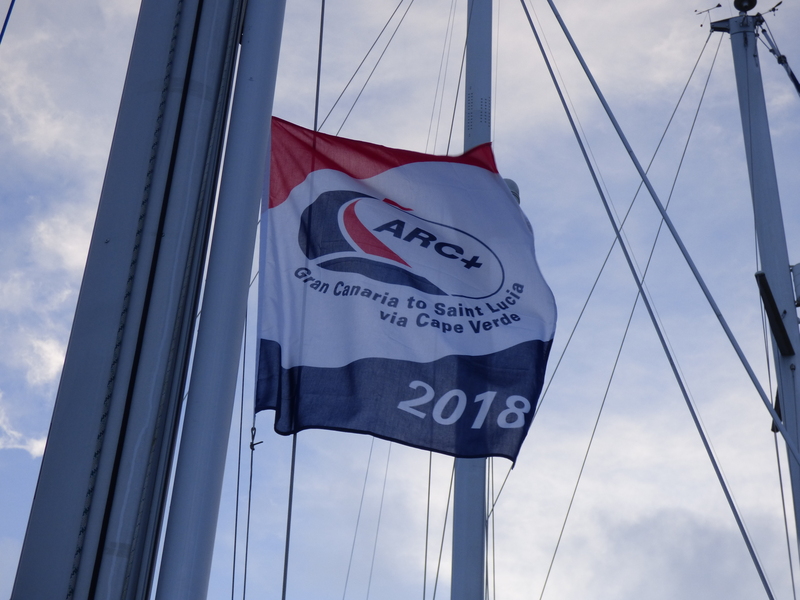 So here we are at the end of a very full month finished off nicely with the arrival of our ARC+ flag and handbook from the World Cruising Club. We raised the flag straight away to see how it looked… and why not! With First aid, sea survival and diesel courses duly completed, the boxes are getting ticked off well and truly. All very necessary but I think the sea survival was the most eye opening. Throughout the course our instructor kept saying “don’t get into the liferaft”. What he meant was try everything to save the boat and keep trying. Having spent time with 7 other soaking wet people in a liferaft in a warm swimming pool, I can definitely agree. Our next entry will bring us up to departure FINALLY !! Previous Previous post: Sailing Awards ! Next Next post: The final push!